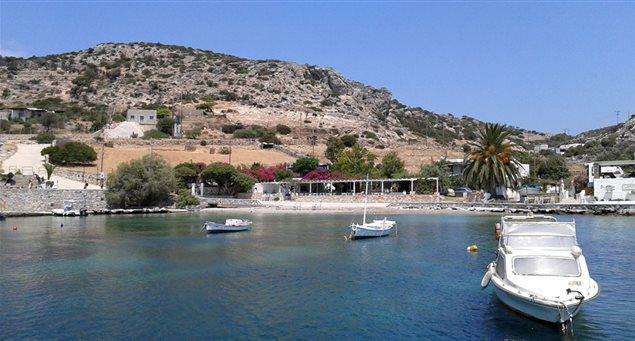 The island’s harbor, Merssini, is considered one of the best small boat shelters in the Aegean archipelago. Merssini has some rooms to let, and a couple of good fish tavernas and grocery stores. 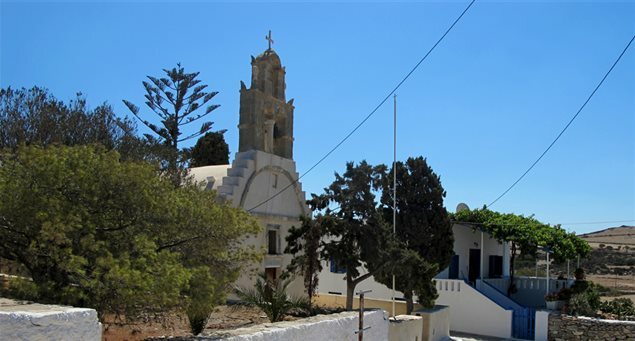 Panagia, or Chora, is the largest of the two settlements on the island (the second being Messaria) situated roughly in its center and about 1.2km. from Merssini. Messaria, is about 2km. on the northbound tarmac road from Chora. A relatively small number of families live here in the winter but in the summer season the population multiplies. Past Messaria, there are vineyards and the large, almost flat plain of Kampos which is cultivated and is a good grazing area. Tracks from the hamlet will take you to the beaches of Gerolimnionas, Fykio, Avlaki tou Papa and Psili Ammos– which some consider the most beautiful of the island. The road network is limited, mainly connecting the port (Merssini) with Chora and Messaria, and most beaches are accessible via short dirt tracks.